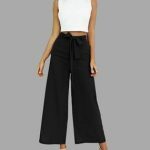 Fashion wide leg pants are must haves in girl’s wardrobe now. It is very kind to all kinds of body types and also very easy to go with other items. But how to reveal wide leg pants’ charm to its utmost beauty? That’s what I am trying to answer. 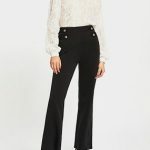 Firstly I am going to introduce you a few popular types of the pants. 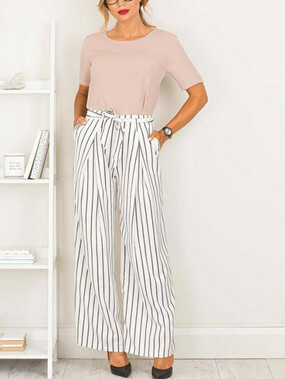 Wide leg pants is getting popular this year. Perhaps somebody worries that white is a color that makes people look fat visually, but a pair of white leg pants can dispel all the misgivings. They can hide your chubby thighs and also make you look taller and stylish. 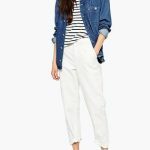 And there are wide legged track pants, corduroy pants and denim pants, which are tend to be more special and vintage. With decorations and special designs, they look very chic and are quite comfortable to wear. The best thing is that they can make you look taller and slimmer. In fashion blogger’s photos and street snaps, they are very often to be seen when there is a need to create strong personal style. 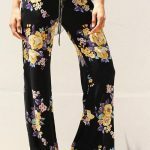 Usually these pants have well-designed details at sides, so you can use them to build your own fashion and style. If you choose them, you are strongly suggested to go retro style and mixing up is good choice too. As for the selection of tops, you are free to choose from blouses, blazers and long trench coats. For leisure purpose, you have more options left for tops. Sweaters, hoodies and jackets are perfect choices to pair up. Only remember to highlight your waistline. And that’s how you can reveal wide leg pants’ charm to its utmost beauty. 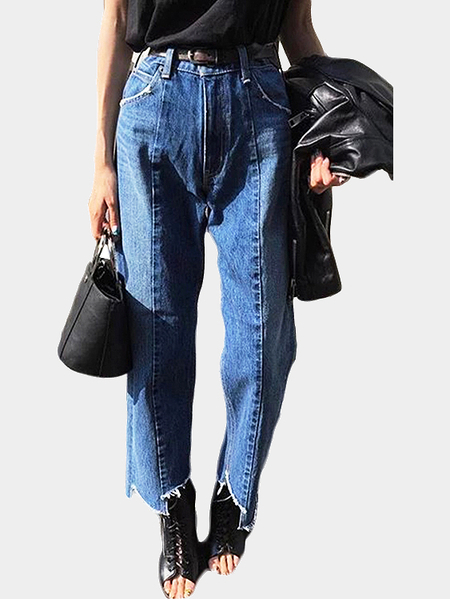 How to Use Wide-leg Pants Be Slim?